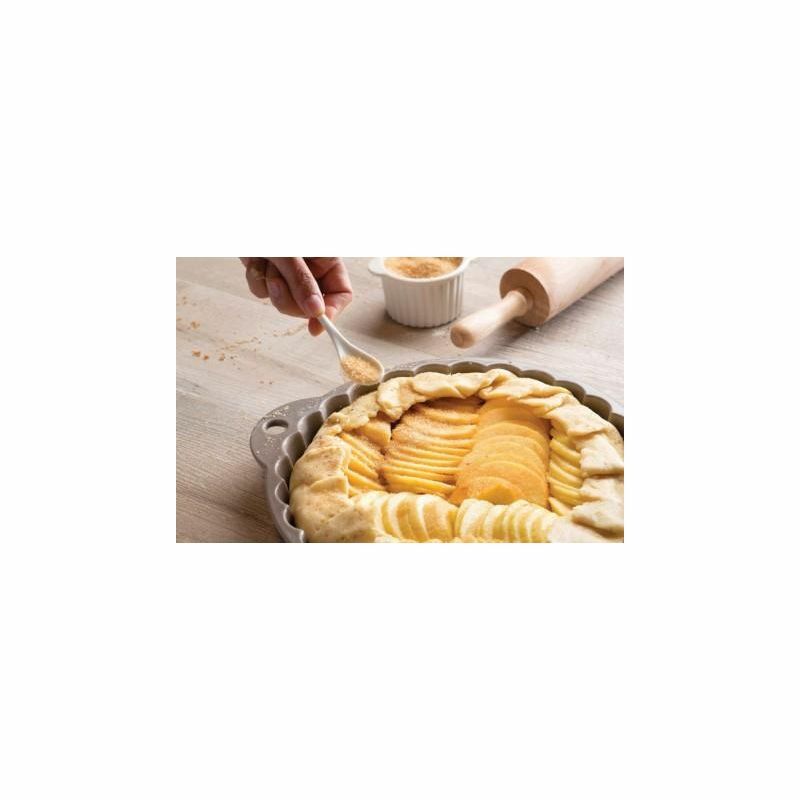 Introducing the most exquisite tart pan of the market: this porcelain dish has a stunning natural look and will guarantee the best quiches and tarts or pastry creations. Handles allow an easy grip and the earthy, traditional French style of the dish will embellish every savory or sweet recipe you can think of. Beautiful grey color. Also available in beige. Les naturels is a collection specially designed for pastry and baking! All pieces come in creamy white or sesame grey color and they have a beautiful hound’s-tooth finish that reinforces the natural non-stick characteristic of the cake pans. 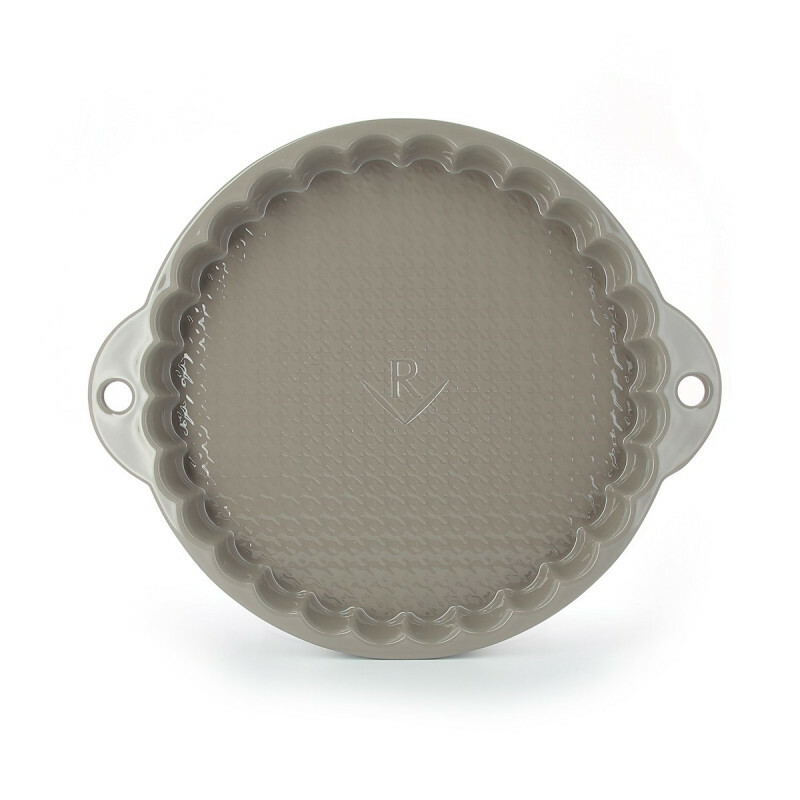 Made of culinary porcelain, a noble and healthy material, molded and glazed in Revol’s factory, in the heart of St-Uze, each dish is suitable to make homemade pies, sumptuous clafoutis, sweet or savory cakes, moist madeleines, airy soufflés: seven different dishes to execute delicious recipes that have a traditional feel in a high-performing material. Available in a smaller size. 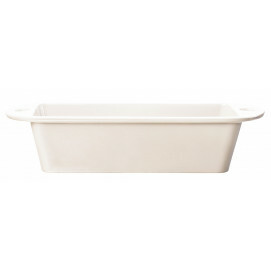 If you are more traditionnal, you may also like the White Individual round flan dish French classique.